Heflinreps represents the following artists: Dennis Balogh, Greg Clarke, Izhar Cohen, Penny Dann, Roy Fox, Owen Freeman, Miguel Gallardo, Alex Gross, Tatsuro Kiuchi, Charlotte Knox, Annabelle Metayer, Naoki Mitsuse, Rutu Modan, Joe Morse, Kathy Osborn, Ed Parker, Claudia Pearson, Hanoch Piven, Sonia Pulido, Paul Rogers, Netalie Ron-Raz, Jared Andrew Schorr, Beegee Tolpa, Ilene Winn-Lederer, and Zed. Please visit our website to see our portfolios. 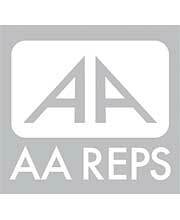 For over 80 years AA Reps (American Artists Representatives) has been the benchmark for excellence in creative artist management, project execution and delivery. Our elite group of U.S. and International based talent coupled with our experienced management team provides the backbone for our exceptional value-added service that extends throughout the creative process. Our attention to minute details, and facilitation skills has garnered a loyal following of blue-chip clientele who have come to depend on AA Reps for their most important and demanding projects. Ultimately they are rewarded with a unique creative solution, that has been individually crafted by our talented artists’and staff. Below is a short list of our satisfied customers: Corporations and Brands: Acura, Adidas, Ambien CR, American Express, BMW, Ben & Jerry’s, Best Buy, Canon, Celestial Seasonings, Coca Cola, Coors Brewing, Frito Lay, Genentech, Hasbro, IBM, Lexus, McDonald’s Mastercard, Mattel, Mercedes, Microsoft, Miller Brewing, Nickelodeon, Nike, Pepsi, Sanofi-Aventis Pharmaceuticals, Taco Bell, Target, Universal, Advertising Agencies: Abelson & Taylor, Arnold Worldwide, Baron & Baron, BBDO, BBH, Carmichael Lynch, Crispin Porter, DDB, Goodby Silverstein, Harrison & Starr, JWT, McCann Erickson, Ogilvy & Mather, Publicis, RPA, Saatchi & Saatchi Healthcare, Team One, TBWA Chiat Day, Wieden & Kennedy, and Young & Rubicam. Editorial: FHM, Golf Digest, Harcourt Brace, Hearst Publishing, Maxim, National Geographic, New Yorker, New York Times Magazine, Newsweek, Scientific American, Time, Travel & Leisure, Vanity Fair, Wall Street Journal, & Wired. Publishing: Avon Books, Ballantine Books, Bantam Doubleday, Behrman House, Leapfrog, Little Brown, McDougall Littell, McGraw Hill Books, Oxford University Press, Penguin USA, Scott Foresman, and Warner Books Services Provided: AA Reps provides a wide area of motion, print and web based services through our talent network they include: Motion and Web Services: 3D Animation and Special FX, 3D Product Prototyping, Flash Animation, Flash Game Development and Web Design and Programming. Print and Design Services: Our group of creative artists work in a variety of different mediums to create outstanding, recognizable imagery in areas such as: Animal Renderings, Digital Illustration Fashion, Food and Product Rendering, Logo Designs, Medical Imagery, Packaging Design, Photography and Photo FX, & Technical Renderings, Urban and Youth Culture Branding and Images. Lemonade represents some of the leading talent working in the industry today. The agency also has specialised divisions in Children's book illustration, Motion and Storyboards. Please visit the website for a regular update of what exciting work our illustrator's are producing. IllustrationRGB represents leading animation artists fulfilling your specific web, broadcast, video and multimedia needs. From computer-generated 2D illustration, to innovative 3D animation, IllustrationRGB is the resource that represents creators at the forefront of the new media (r)evolution. ORIGINAL ART WORKS. Featuring artists: David Reinbold, Michael Lotenero, Penelope Dullaghan, Grant Gilliland, Lorraine Tuson, MuttInk, Von Glitschka, Michael Bast, Curtis Parker, Clint Hansen, Andy Buttram, John Ceballos, Jon Lezinsky, Greg LaFever, Geoff Smith, Mark Riedy, Larry Moore, John Maggard, Lisa Ballard, Andy Hayes, and Rob Schwager. Joanie has sat on both sides of the desk. An art rep & art buyer. The artists she reps are unique in style & strong in concept. Clients include: Hershey's, Kate Spade, TBWA Chiat Day, NPR, Audi, Victoria Secret, Vanity Fair, Pentagram Design, Estee Lauder, GSDM, Sony, Time, Stella Artois, United Airlines, Target, Nickelodeon Magazine, Nordstroms, Domino, Verve, Fallon, Harvard Business Review. Representing: Elvis Swift, Stan Fellows, Jack Molloy, Jason Greenberg, WACSO, John Kleber, Marian Richardson, Jacob Thomas. We represent a select group of international artists. Our artists' portfolios encompass an expansive range of subjects and styles. We provide the talent and versatility to meet all the demands of today's visual media. Representing over 20 children's book illustrators and photographers working in watercolor, pastel, fabric, cut-paper collage, pencil, inks, and photography: Beth Segal, Ann Olson, Joslin Fields, Sarah Brannen, Isabelle Chatellard, Stephan Girelle, Alvis Upitis, Victoria Chess, Joel Cook, Janet Marshall, Krisztina Renyi, Jennifer Owings Dewey, Joan Dunning, Clare Beaton, Margaret Denney, Erin Brown, Peter van Harmelen, and Christa Unzner. Representative of illustrators, artists, and animators, providing commercial illustration, art, and animation in the fields of publishing, children’s illustration, editorial, medical illustration, mass market art, and book cover design. Artists include: Robert Neubecker, Peter Bollinger, Cliff Neilsen, Mike Koelsch, Glin Dibley, Sally Wern Comport, Amy Bates, James Bernardin, Steve Brodner, Patrick Faricy, Glenn Harrington, Brett Helquist, Greg Spalenka, Greg Swearingen, George Angelini, Pablo Bernasconi, John Bendall-Brunello, Mort Drucker, Guy Francis, Santiago Cohen, Ariel Pang, Monica Roe, Joe St. Pierre, Bernhard Oberdieck, Dan Andreasen, Maryn Roos, Eric Bowman, Greg Call, Anna Currey, Suwin Chan, C.B. Canga, Doug Holgate, Robert Crockett, Richard Cowdrey, Emma Damon, Ray Downing, Tristan Elwell, Alan Flinn, Corbert Gauthier, E.M. Gist, Amanda Hall, Glenn Harrington, Erwin Haya, Lisa Henderling, Aaron Jasinski, Cooper Kelly, Ian Keltie, Peter Mac, and Yucel, among others. We represent French Artists Now representing ; Rebecca Dautremer, Olivier BAlez, Vincent Bourgeau, Fred Bernard, Fred Benaglia, Cecile Gambini,Cecilia Andrews, Godeleine De Rosamel, Le Vilain, ... Children's books, design, Comics books, advertising, graphic design... let's add a" French Touch" to all your needs. With offices in NYC, Chicago and San Francisco representing: Ann Field, Brian Cairns, Jill Calder, Giselle Potter, Paul Wearing, Tim Tomkinson, Sean Mosher-Smith, Pomme Chan, James Noel Smith. New Division specializes in representing the very best in contemporary illustration. Working internationally in advertising, design, new media and publishing we offer unparalleled expertise and experience to our clients. Nila Aye, Mark Blade, Glyn Brewerton, James Brown, Emma Brownjohn, Bose Collins, Nicola Cramp, Chambers & Dorsey, Jessie Eckel, Adam Errington, Melvyn Evans, Martina Farrow, Joaquin Gonzalez, Anna Hymas, Helen James, Gary Kempston, Joanna Kerr, Lene Knudsen, Nick Kobyluch, Genevieve Kote, Monica Laita, Jim Laurence, Yvonne Maxwell, Melv, Moira Millman, Claire Nicholas, Gavin Reece, Ria, Suzanne Sales, Sean Sims, Barbara Spoettel, Lucy Truman, Katie Wood. UK illustration agency with over 2,000 images from over 60 illustrators.search by artist,medium or style. Represents illustrators working in a variety of styles - from realistic to comic, digital, retro, graphic and painterly. Artists include Steve Vance, Allen Garns, Dennis Mukai, Peter Siu, Joe & Kathy Heiner, Bob Brugger, Bradley Clark, Steve Keller, John Kleber, Catherine Leary, Bill Morrison, Wayne Watford. Other divisions: RetroReps (showcasing vintage styles from the 1920s through 1960s), Artinforms (informational graphics) and IconArtReps (character design and development). Agent, illustrator and mentor. Illustration and surface design. Lilla Rogers, Lilla Rogers Studio, Anne Smith, Ann Boyajian, Bonnie Dain, Diane Bigda, Greg Morgan, Janell Genovese, Jessica Allen, John Coulter, Jon Cannell, Julia Binfield, Helen Dardik, Linda Ketelhut, Lisa Dejohn, Rebecca Bradley, Sarajo Frieden, Susan Farrington, Susan McKenna, Susy Pilgrim Waters. Working with clients across the globe in advertising, design, new media and publishing, we represent artists who specialise in many styles and genres; photorealism, digital, pastiche, retro advertising, mixed media, graphic, comic strip, contemporary, flat colour, engraving, caricature, technical, character design. Representing: Alan Cracknell, Andrew Farley, Andrew Hamilton, Antena Boy, Brian James, Charles Bell, Charlie Hill, Chris Robson, Chris Simpson, Christine Berrington, Claire Clements, Coburn,David Febland, Edmond Davies, Fred Blunt, Garry Parsons, Garry Walton, Gary West, Giannelli, James Macfarlane, Jerry Hoare, Jo Bird, John Reilly, Jonathan Grimwood, Julia Barber, Ken Gamage, Kevin February, Malcolm Tween, Marc Arundale, Maxwell Dorsey, Michael Crampton, MIK, NAF, Paul Boston, Paul Sample, Peter Ellis, Peter Harrison, Phil Schramm, Piers Sanford, Stephen Dumayne, Steve Read, Terence Lawlor, Warren Madill, Zig Peterson.